A hammock does not yield easily to our impulse to rush off. Enforcing a slow, Southern pace, its knotted web cradles us, convincing us it’s better to stay put for a while longer. In a clearing among the oaks of Salter Path, there is a hammock, and upon this hammock, I once dreamed that time had expanded and become nearly infinite even for as small a mortal speck of creation as me, and that I would have all the time I needed to get out of that hammock and on down to Frost Seafood House for breakfast. It was good that I had all the time I needed, that each second had swelled to encompass the growing universe and all of its comets and suns, that time was, like, dude, the sand trail of that little crab right there, winding and twisting back on itself in the endless circle of … oh man, look at that big pelican, he’s so weird. I was having a hard time getting out of the hammock is what I’m trying to say. I don’t mean that I was reluctant to get out of the hammock. I was hungry and needed eggs to fuel my later study of hammock aerodynamics and nap engineering, scheduled for immediately after breakfast. When I say I had a hard time getting out, I mean that I could not physically remove myself from the thing. The hammock had closed up around me, as hammocks do; I had a vision of dying to the world within its precisely knotted and airy shroud for want of a graceful way to get out. The hammock would not let me go unless I was prepared to utterly reject it for terra firma, which meant dumping myself out onto the sandy soil at the feet of the windswept oaks. I assume I did this, eventually, as I am not still in the hammock, and I recount this moment, one of hundreds of my hammock moments, only to illustrate the first principle of hammockology, which is: You must commit to the hammock. The hammock will not let you go easily. It isn’t a bed or a couch, from which you can leap up at a moment’s notice to attend to the world. A hammock demands that it be given time, and the best kind of time is leisure time, as we all know. Southerners have long fought the idea that they are innately lazy. What this Southerner prefers to think is that he is unusually capable of commitment to leisure. He is not undecided about the merits of sitting still, and he doesn’t need a guru or a life coach to tell him that a gentle rocking in the breeze is worth setting aside the concerns of the world. The magazines shout at him: SIMPLIFY NOW! 10 THINGS YOU MUST DO TO LOWER STRESS TODAY! He considers these imperatives, but they only make him want to close his eyes and, Hey, there’s that pelican again. And the crab, silly thing. The Southerner is not afraid of the hammock because the Southerner is not afraid of time. The Southerner’s sense of time is expansive; it stretches across the centuries and takes in the panoply of souls that rose, animate, blood kin and not, venerated and despised, chained and unchained, a people divided against itself, one people of the twang, an operatic chorus describing the strange fruit of their long history together. The Southerner is conscious of eons, and against that scale of time, each second is nothing, a flash, and not anything that must always be crammed full. We will all be dust, the Southerner knows, so the Southerner stops, the Southerner remembers, the Southerner falls asleep in the hammock with Mr. Wolfe’s novel butterflied on his chest, vaguely aware of the rough lattice of thread and fiber pressed against his cheek, and he dreams: I am always home, sir, and I am always going there, too. Down those centuries, the hammock accompanied us: from the New World, where we found them strung up by the first people high above the leaf litter and biting ants of the tropical forest, to the Old World and back again, below decks where sailors slept steadily rocking, bearded and grog-happy pendula always oriented in line with gravity and never tossed out upon the deck. Blackbeard surely slept in a hammock, it being impossible to imagine the old captain at sea laid down in anything so domestic as a bed. I am a hammock enthusiast, and therefore the descendant of pirates and privateers, a free man floating weightless above the entanglements of ground and soil. You may keep your pied-à-terre; I will carry my resting place with me. Ain’t a gonna kill me, ain’t a gonna kill me. Roll on buddy, don’t you roll so slow. Baby how can I roll, when the wheels won’t go? It won’t kill me because I’ll be asleep and not trying to tunnel through a mountain in a race against a machine. The machines lost that particular battle against old hardworking and restless John Henry, but does anyone really doubt they won the war? I will not fight them, but at times I will ignore them. I will instead go outside into the shade behind the old house in Beaufort, beyond the sound of the air conditioner and the refrigerator and the electric sandwich maker. And I will tie up my hammock with my own fat fingers from the crooked branches of asymmetrical old trees and allow myself to be cooled, supine, in the breeze that has blown across that same inlet since before the first man stood up, became self-aware, and began to look for shade and a cool drink. This is the Southerner’s sense of time: breezes are ancient, and hammocks are so simple they’re subversive. This simplicity, this rudimentary perfection, is worth preserving. One must reject all manner of tassels and fringe. The spreader bars of the local hammock variants are acceptable, those types native to Nags Head and Hatteras. The important rule, though, is that the hammock should retain its primitivity; otherwise you’re building yourself a bed, and that’s just a quick step from getting a mortgage. Just for one hour once during the week you grudgingly allow yourself for vacation, would it kill you to be irresponsible and not so securely fastened to the things of this world? Forget what your stuff looks like, and who designed it, and whether it’s the same brand as that thing in that movie with the lighthouses and the sand and the pretty people. There are some things that invite us to set aside such worries, that are so simple — a sling between two trees! — that to embellish them is to miss the point entirely. Whether woven from braided unicorn hair or fashioned from a set of old curtains strung up with grappling hooks and jumper cables, the hammock invites us to quit worrying. It will not let us go easily. It is simple, it is old, it is portable. It is perfect, and there’s always one to be found in those places where people think it is perfectly fine to stop and consider, at length, the twisting thread of time that has not culminated in us, but is ours only for this moment. This is North Carolina, this is why we live here. There is no elongation of the space-time continuum here, and time is the same as it is everywhere else. But even so, doesn’t it seem sometimes, when you’re in your backyard in the ratty old hammock your family has condemned as unsafe, counting willow oak leaves as they spin on their longitudinal axis down slight hills of air toward you, vaguely hearing your daughters playing their ancient games of mimicry — doesn’t it seem, then, that there’s just more time here? You must commit to the hammock. Finding a hammock suited to your style is no problem in a state with several homegrown producers that have been helping us relax for decades. Even the rope and wood products are handmade at Outer Banks Hammocks, in business in Wilmington since 1971. To watch the process or to buy your own, visit their shop. Walter Perkins Jr. designed and made all his company’s hammocks by hand when he first went into business 40 years ago, selling his wares out of the back of his car as he traveled up and down the East Coast. 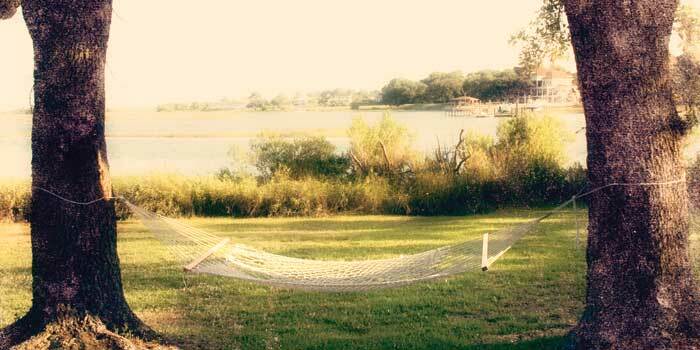 Today, the Greenville company is the world’s largest producer of hammocks and related outdoor furnishings. To learn more or find a dealer, go to hatterashammocks.com. What began as a small hammock shop in 1974 has grown into a business with five locations in Avon, Corolla, Duck, Kill Devil Hills, and Point Harbor. To watch weavers creating hammocks, swings, and chairs, visit the company’s showcase store in Kill Devil Hills. Duncan Murrell is a contributing editor at Harper’s Magazine and The Normal School. He also teaches writing at Duke University and North Carolina State University. He lives in Pittsboro. Duncan’s most recent article for Our State was “The Road, U.S. Highway 64” (July 2011).